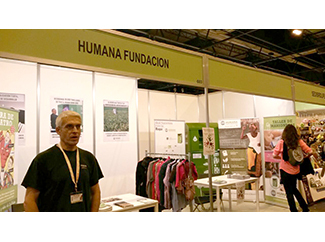 Humana will be present from 13th to 16th of November at the fair of organic products and responsible consumption BioCultura Madrid, at IFEMA. 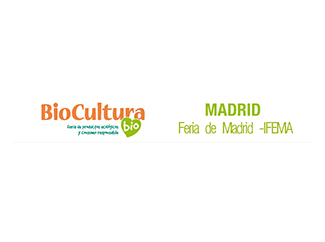 This is the most important fair of this kind, which this year celebrates its thirtieth edition. The organization expects attendance of about 80,000 visitors, the presence of nearly 800 exhibitors and around 350 activities. The Foundation will offer a sample of our work on environmental protection, textile recycling, sustainable fashion, development cooperation, awareness and urban agriculture, through the 3C project. During the afternoons of Saturday and Sunday we will hold workshops puppets. The challenge, learn by playing. Humana also will attend the children's activities MamaTerra where a double representation of the play 'The World of Edmundo' will take place. See you in Hall 9, stand number 603.